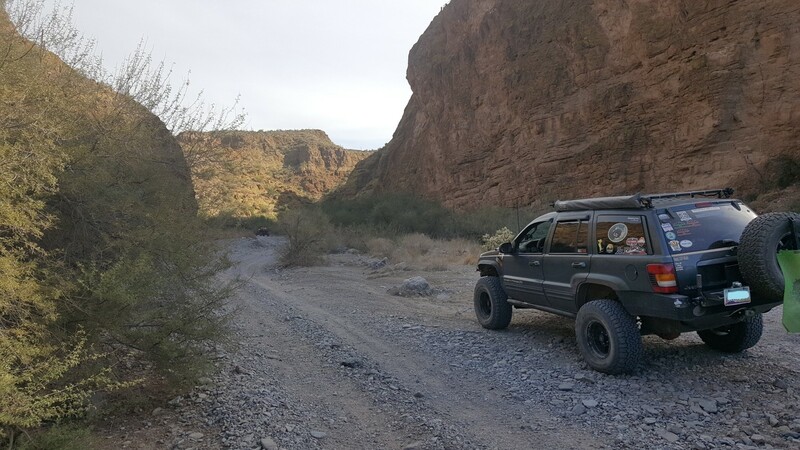 Box Canyon is the highlight of this trail providing southern access to the popular trail system just north of Box Canyon and Florence, Arizona commonly referred to as, "Florence Junction." 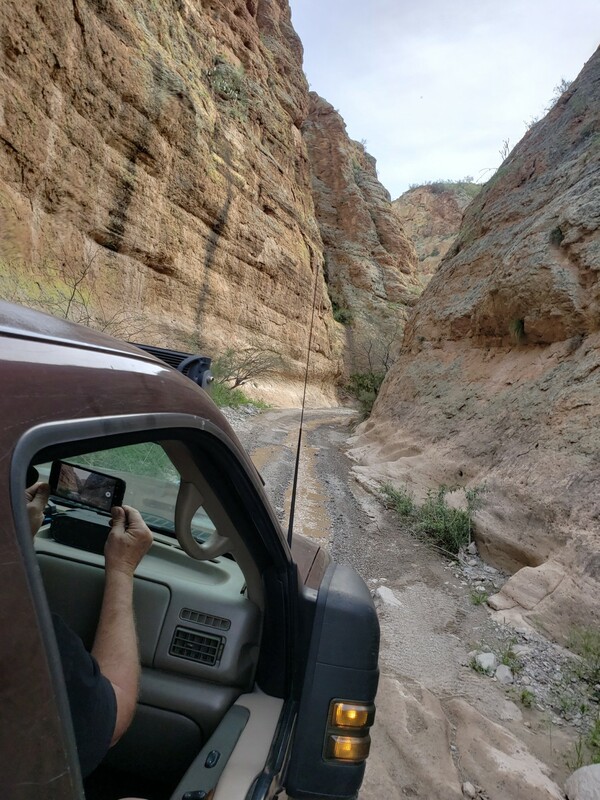 Driving through Box Canyon is a wonderful scenic introduction to the area and is a very popular trail. 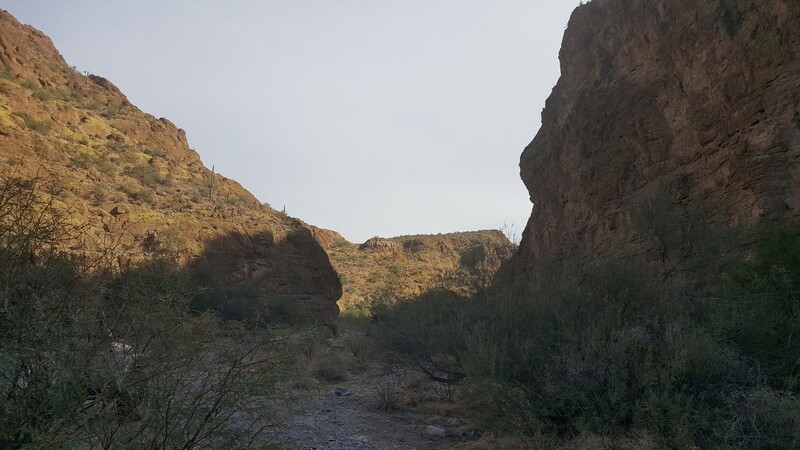 Box Canyon can be traveled in either direction but continues on to the north connecting with many other nearby trails. 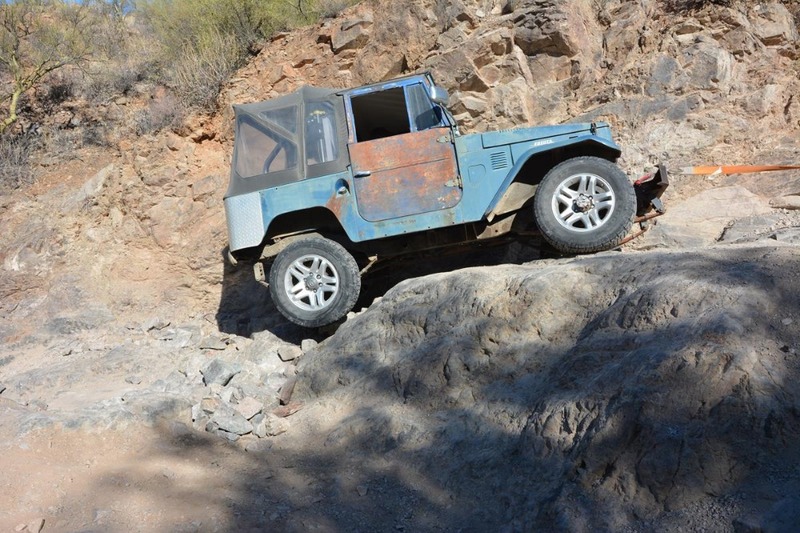 These other trails can be combined for a full day of exploration. 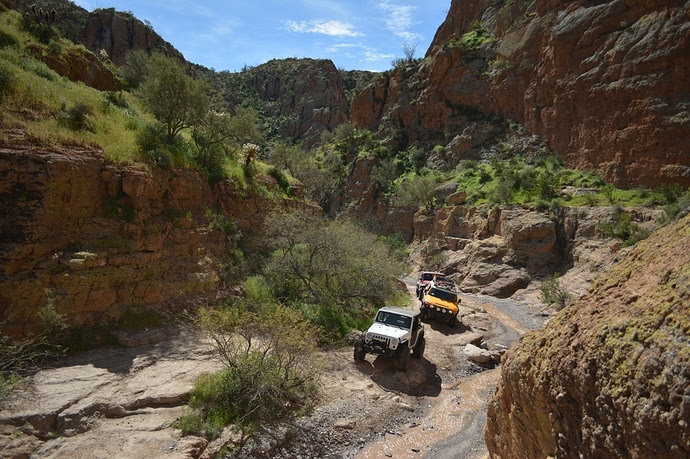 A favorite among many, you will often find other OHV enthusiasts sharing this trail. 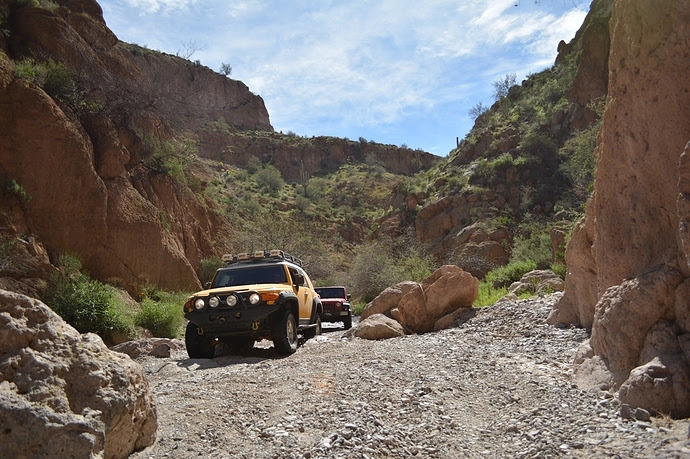 The route through Box Canyon offers access to the popular OHV and trail system north of Florence, Arizona. 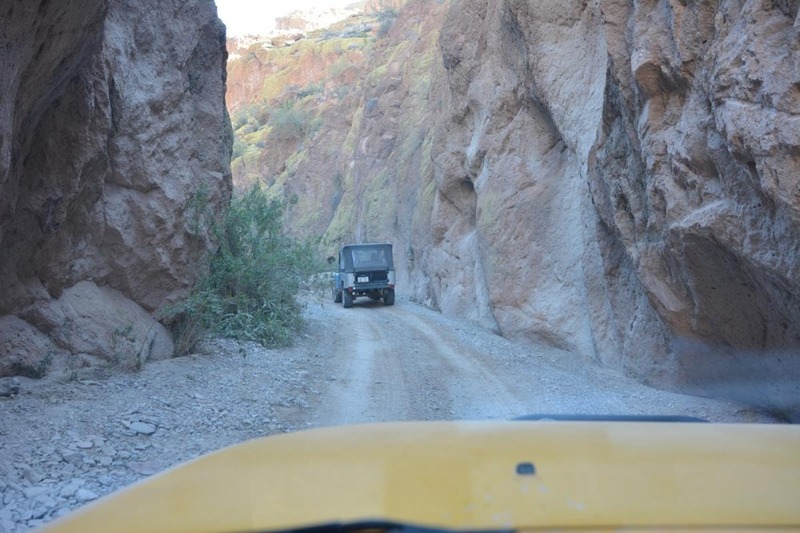 The trail is fun to drive and becomes progressively narrower offering views of the towering walls of rock above. 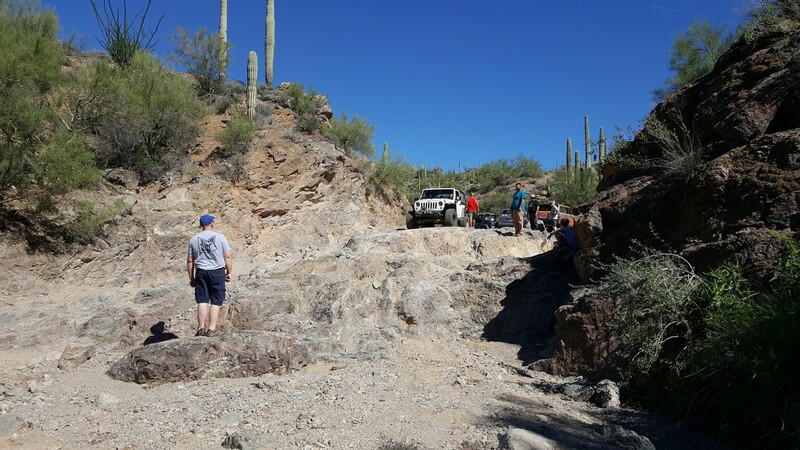 The trail is rather tame initially from a graded dirt road, to a sandy wash, to mild rocky obstacles near the end of the trail. 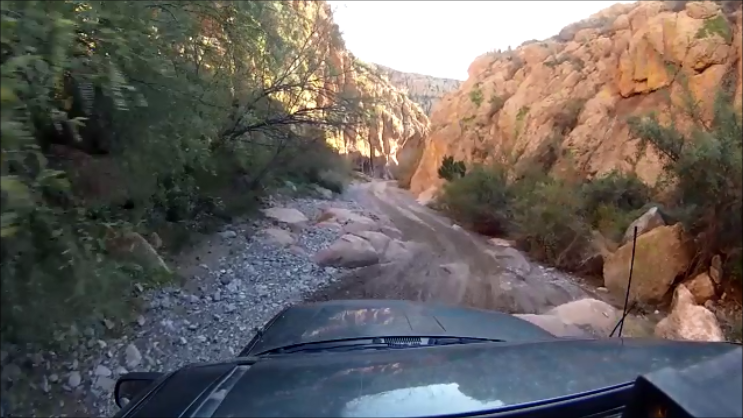 Box Canyon can be driven almost entirely in 2 wheel drive depending on trail conditions and driver experience. 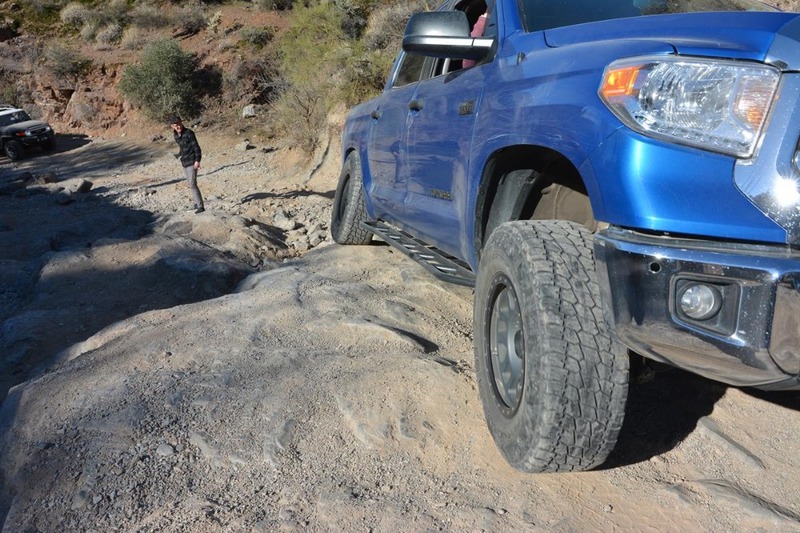 Drivers are encouraged to use their own discretion when it is appropriate to engage 4 wheel drive. 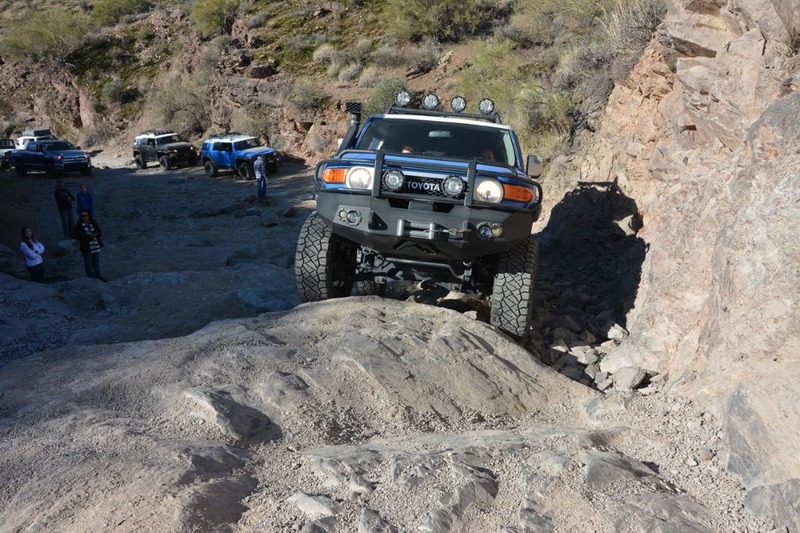 The trail can often be very busy with traffic as it is a popular trail. There are some residences along Price Road so please be respectful and travel at a prudent speed. Additionally, Price Road can be increasingly busy during early April when Country Thunder is approaching. Country Thunder is a large musical venue that is hosted on the land along Price Road. 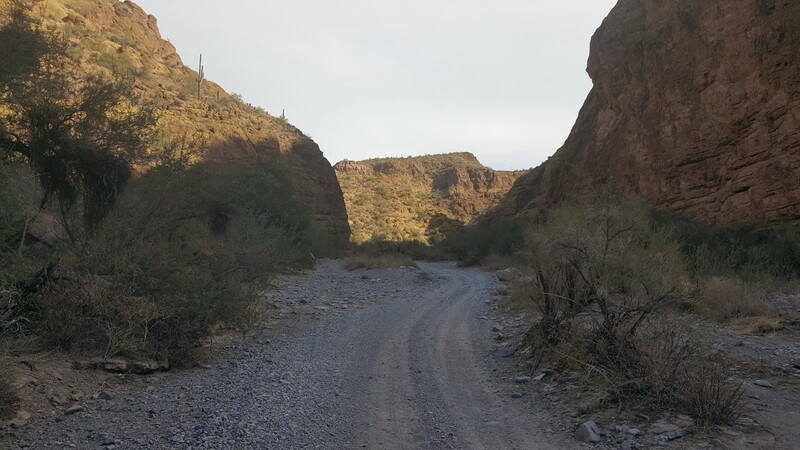 Traveling through Box Canyon does require a Arizona State Trust Land permit. 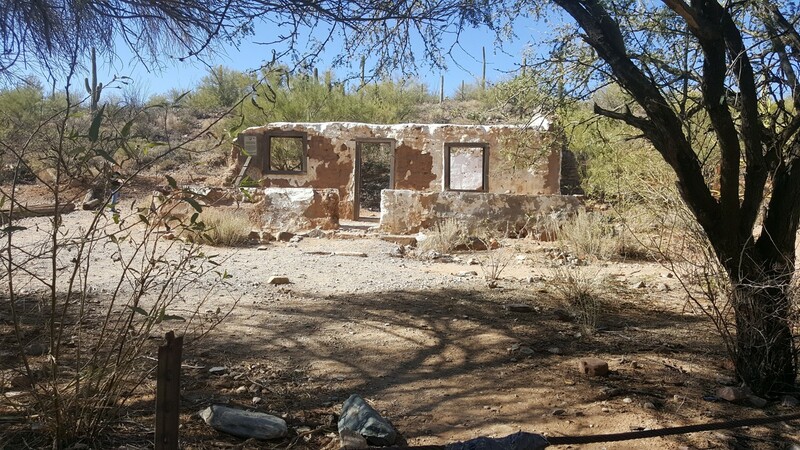 State Trust Land Permits can be found at the Arizona State Trust Land Department website (https://land.az.gov/applications-and-permits) under recreational permit forms, individual/family permit. The downloadable form is in a PDF format. 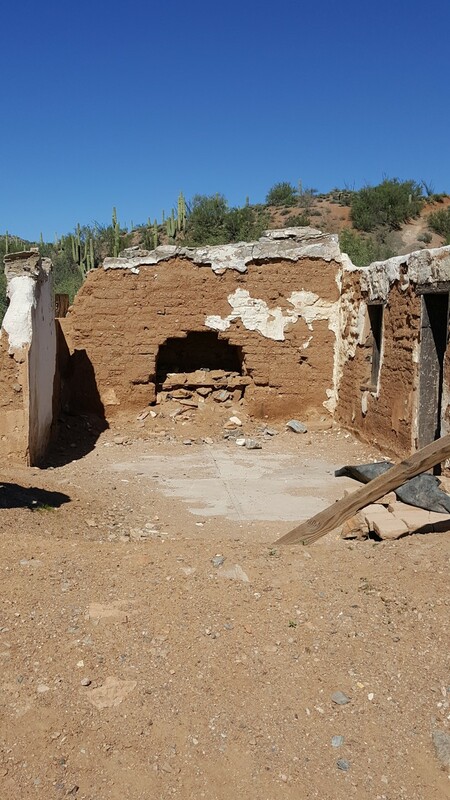 Once completed, the form is to be returned to: Arizona State Land Department 1616 W. Adams St. Phoenix, Az 85007. https://land.az.gov/ The managing BLM office is the Gila District Tucson Field Office at 3201 East Universal Way, Tucsion, Az 85756. 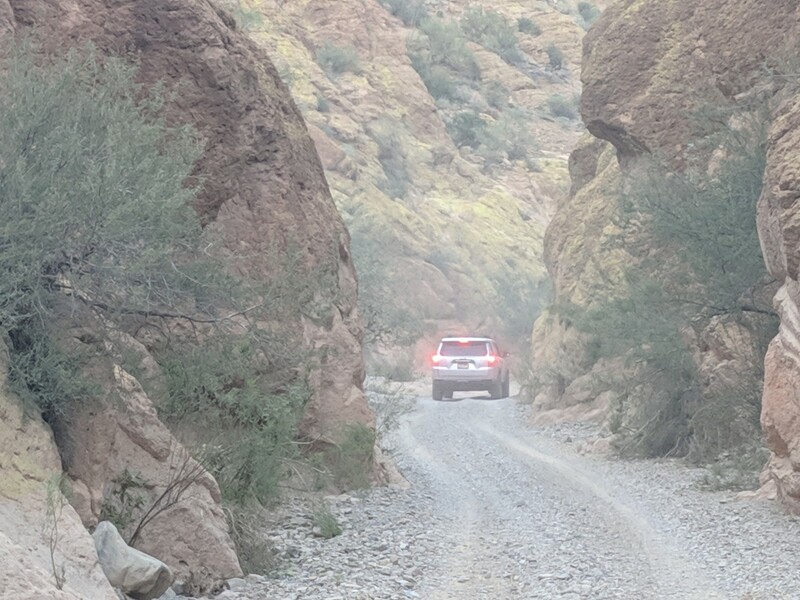 Use Price Road to approach Box Canyon. Price Road can be increasingly more congested and busy in April when Country Thunder approaches. 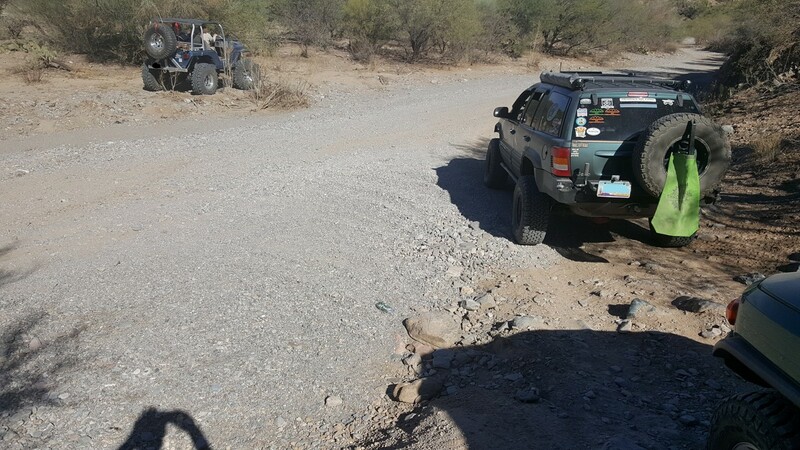 This is a very popular trail and travelers will often encounter small off highway vehicles. 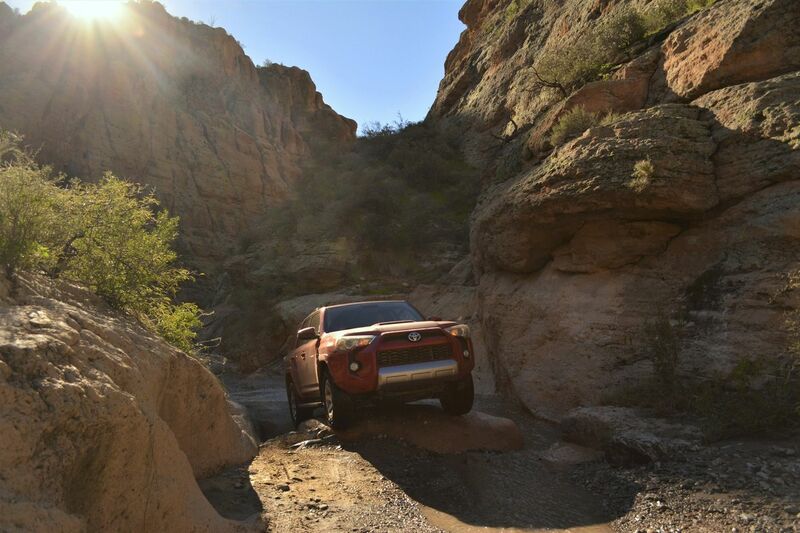 In Box Canyon, space is tight in some places so passing can be difficult at times. 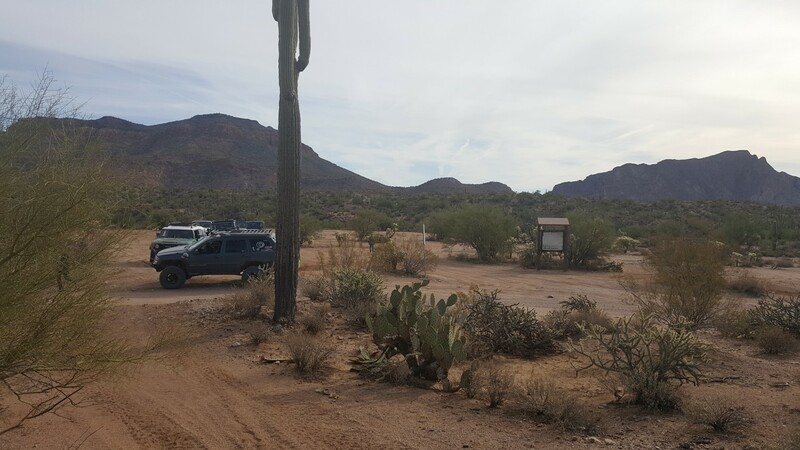 The trailhead begins at a large staging area located on Box Canyon Road to the right/east. 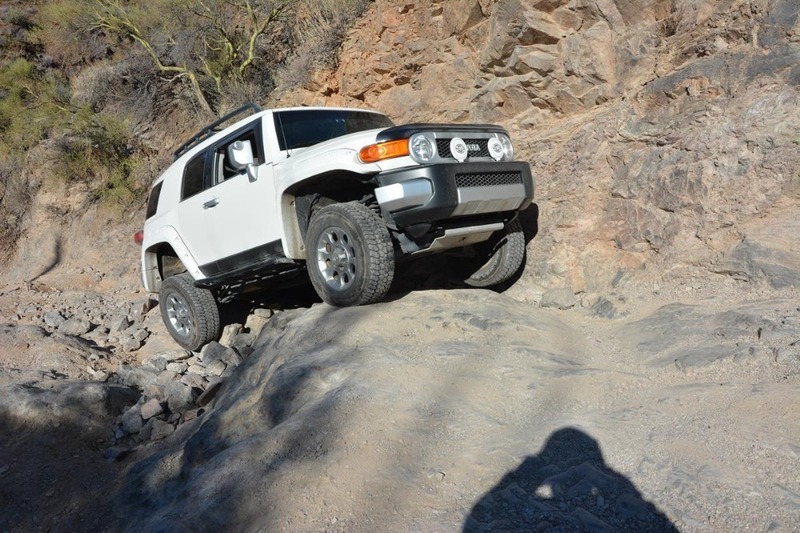 This is a good place to air down tires. This one of a few large areas along the road that can be used for staging or camping. Please use pre-existing fire rings and take out what you brought. 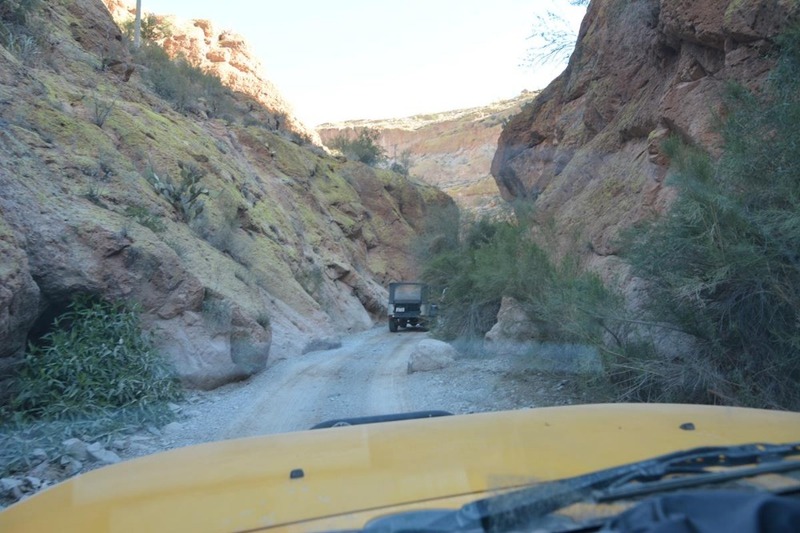 This is the entrance to Box Canyon and becomes more progressively narrow. 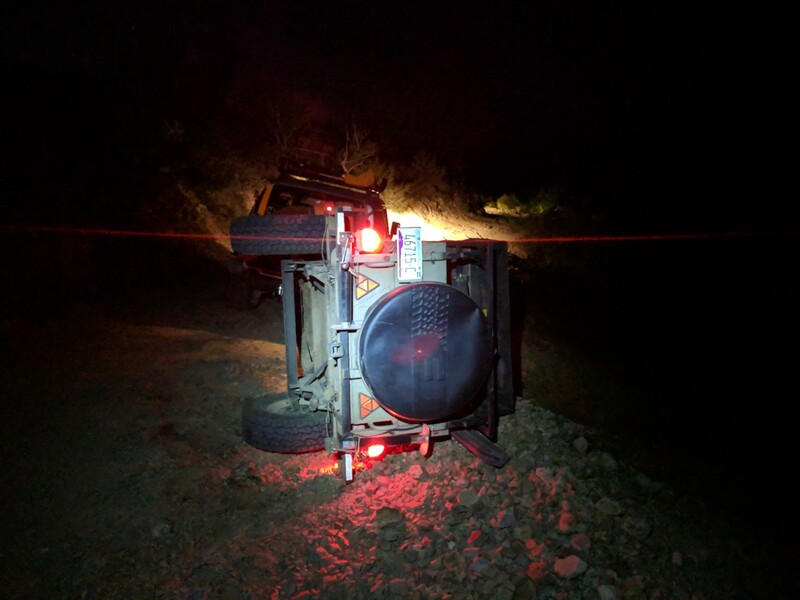 Please stay on the trail and be respectful of other users. 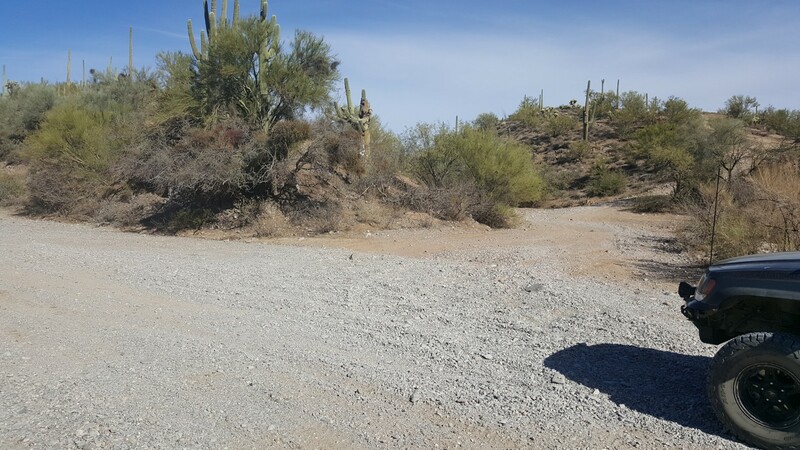 There are limited areas that are wide enough along the trail for oncoming traffic. Box Canyon widens here and you exit the canyon portion of the trail. Box Canyon Road continues north however. Continue straight. 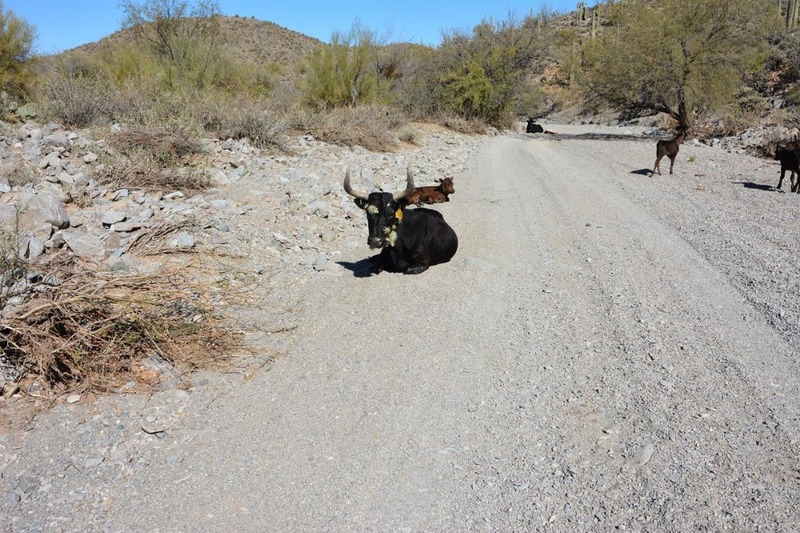 After crossing the cattle guard, veer left and down into the wash/road and continue north. Veer left/north here at the Y. 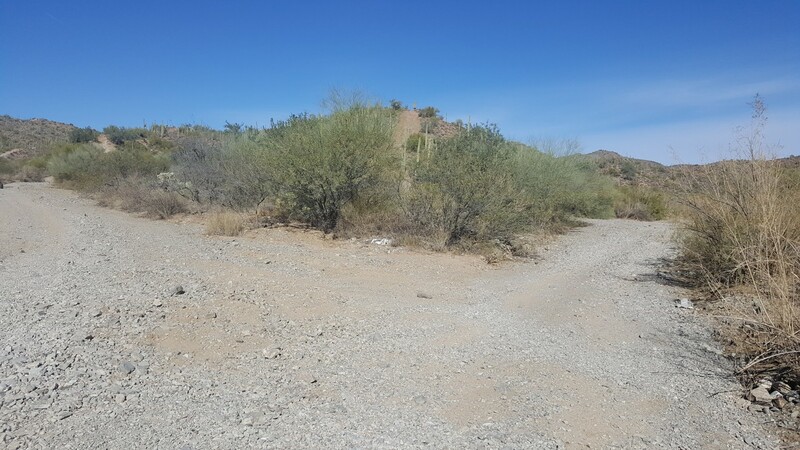 Turning right/east will lead to the [Martinez Cabin Trail](https://www.trailsoffroad.com/trails/57-martinez-cabin-trail-arizona). This is a spot worth stopping for, please respect the location. 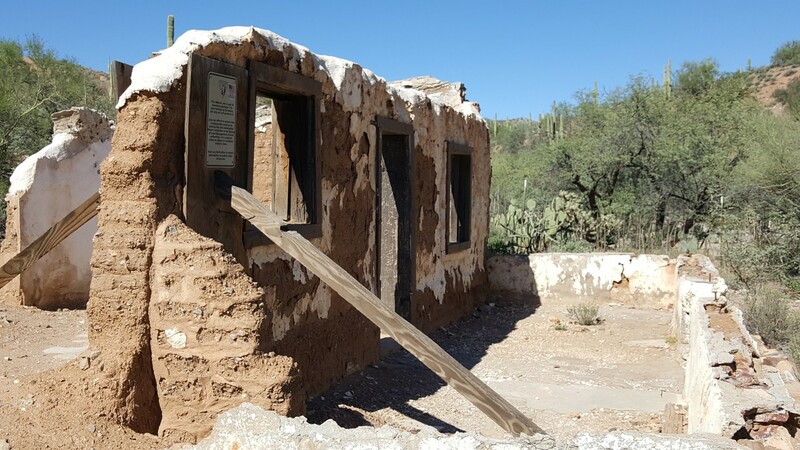 Although not much information can be found on this site it is exciting to imagine what travel must have been like back in the day. 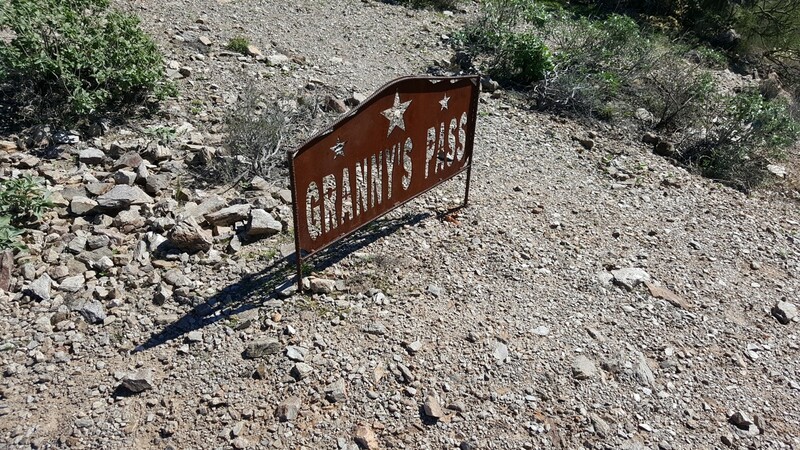 This is the end of the trail. 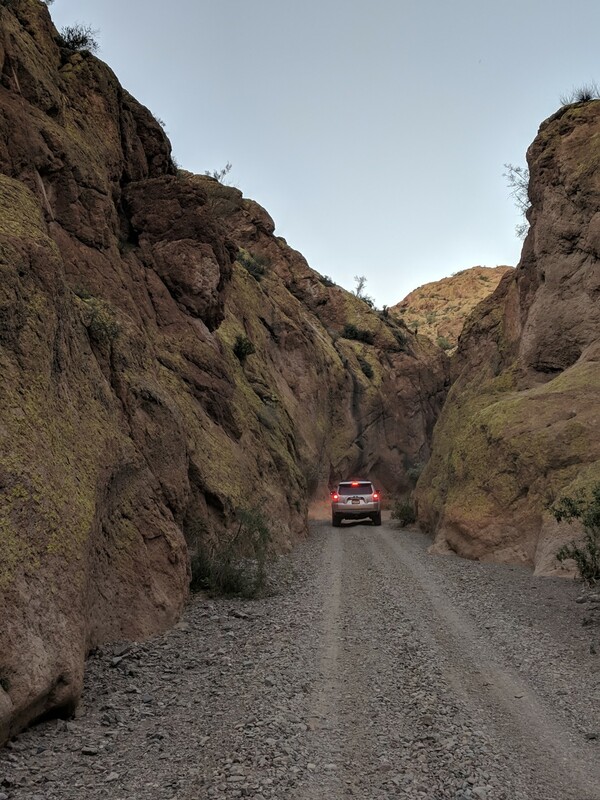 To the left/north is [Mineral Mountain Road](https://www.trailsoffroad.com/trails/2201-mineral-mountain-road-arizona), one of the main connecting roads in the area. The road to the right/east is faint and is on the list to be explored. 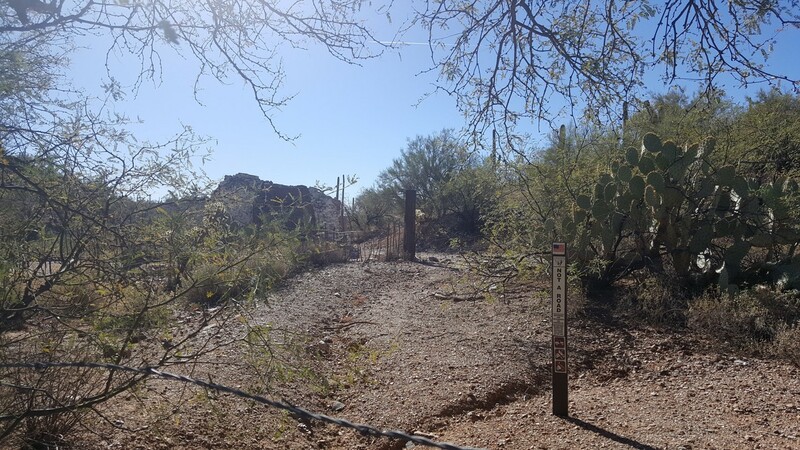 Access to the trailhead is approximately 22 miles south of Apache Junction, Arizona. 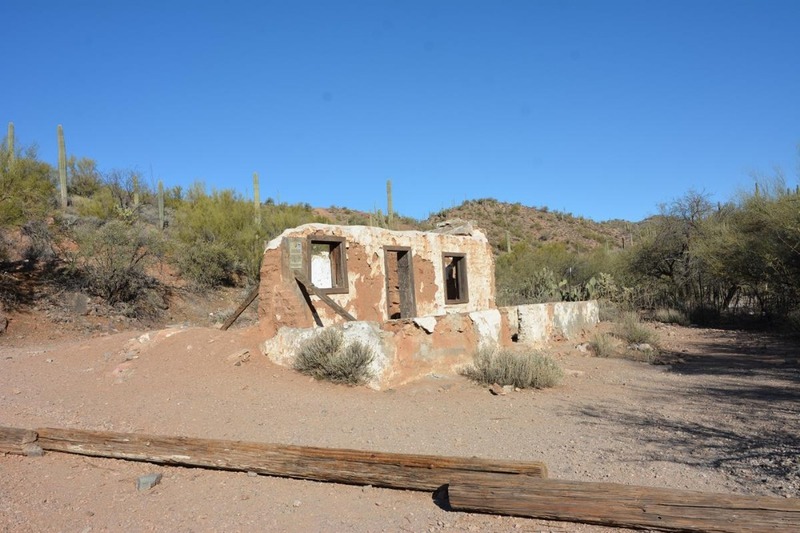 The trailhead can be found by traveling east on US 60 to the intersection with Highway 79 (Florence Junction) and exit 212 Florence/Tucson headed south. Travel south 13.5 miles and turn left/east onto Price Road. 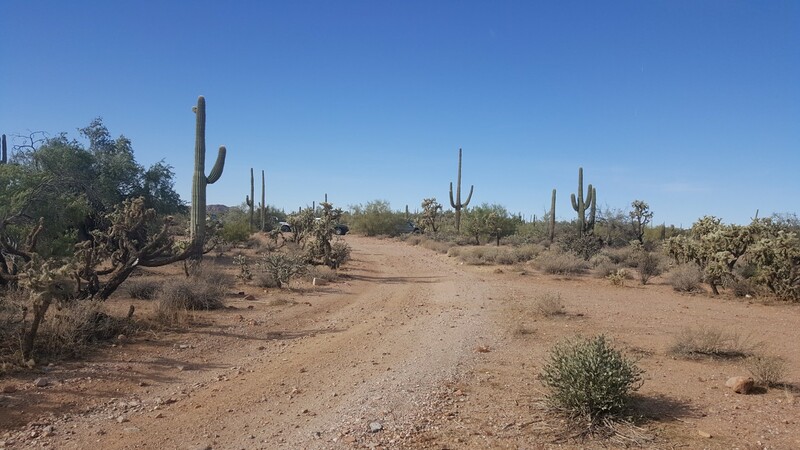 From Florence, Arizona travel approximately 2 miles north on Highway 79 to the trailhead at Price Road, turn right/east. 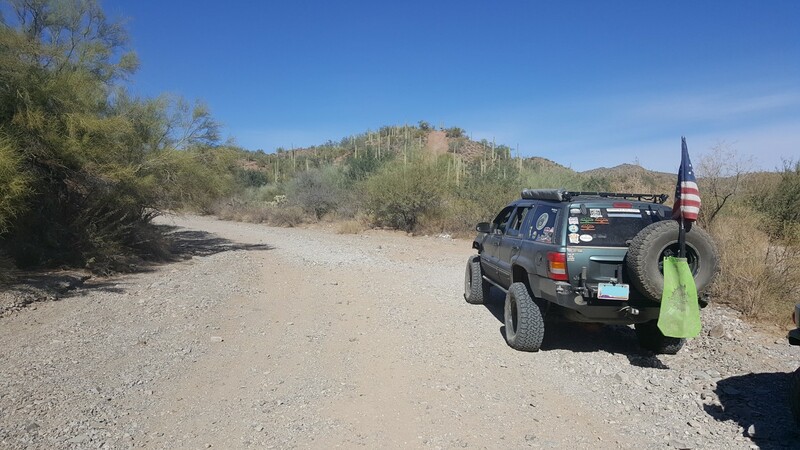 Travel 6.7 miles east on [Price Road](https://www.trailsoffroad.com/trails/61-price-road-arizona) to the Box Canyon trailhead. 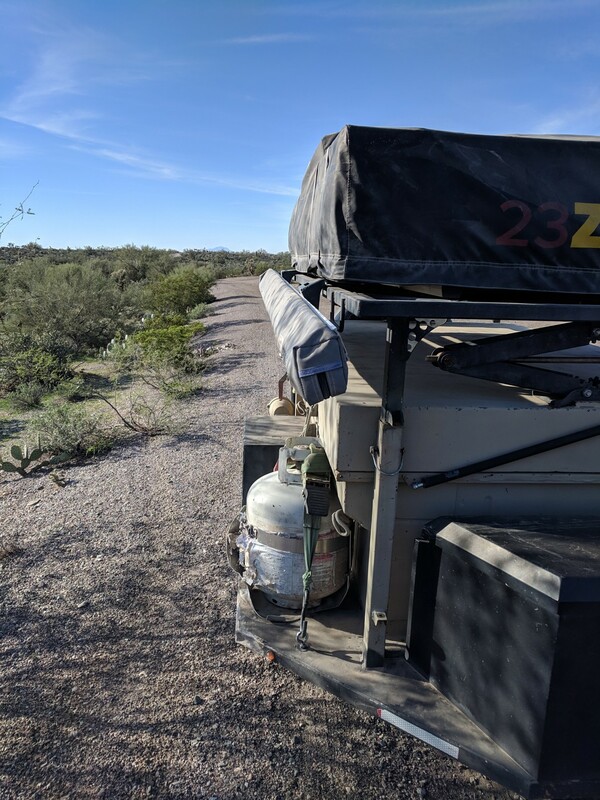 Camping is available in several spots along the trail. 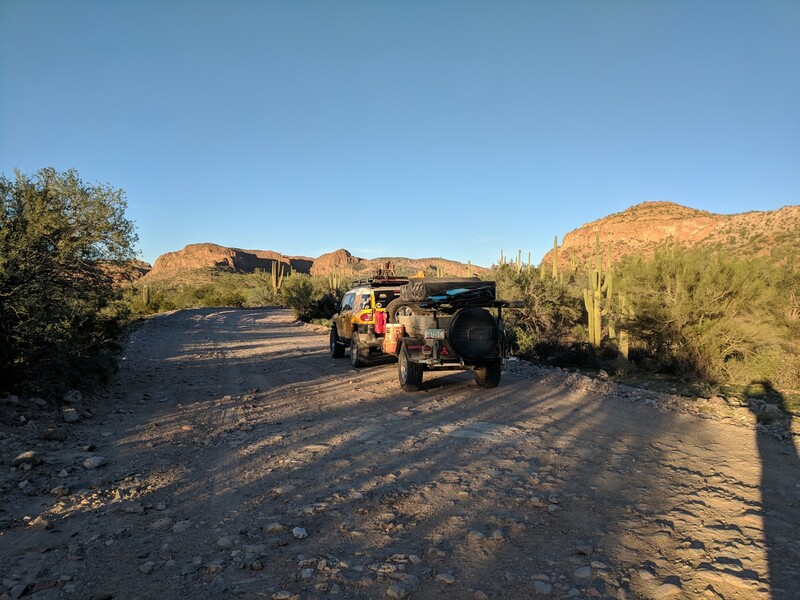 If camping on Arizona State Trust Land you will be required to have the appropriate permit from here: https://land.az.gov/ Please make sure to only use existing fire rings and Tread Lightly. Hello, I'm Chad. I have spent most of my life in Arizona although I'm from Mountain Home, Idaho. 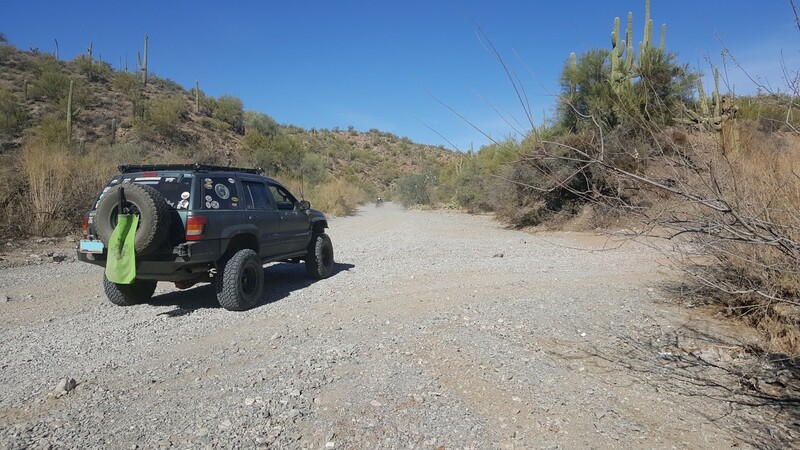 I started off roading when I was 17 years old initially because I wanted to get to the camping spots most couldn't get to. 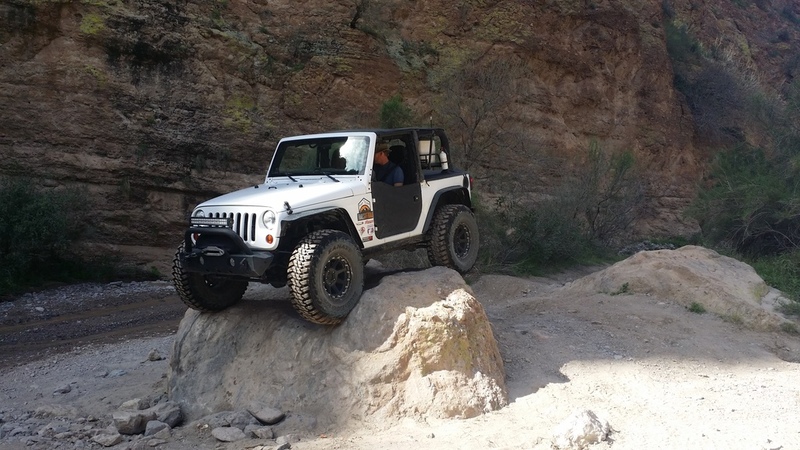 These days I am an avid off roader who loves all aspects of offroading, the President of Copperstate 4 Wheelers, a Tread Lightly Trainer, and certified off road instructor with the International 4 Wheel Drive Trainers Association (I4WDTA). 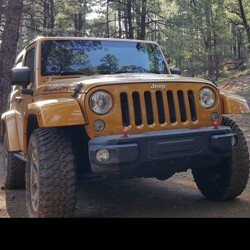 My favorite trail is The Rubicon Trail. The El Dorado National Forest is beautiful and so is The Rubicon Trail. In 2014, I was lucky enough to take my 7 year old son and my dad on the trail with me. I am very excited to be a part of this group and can't wait to get to work running some of the beautiful trails we have here in Arizona. A: Hi Tom. If you were to look at the area between highway 79 and Box Canyon Road approx 1/3 of the distance is on private land near where Country Thunder is held where Price road travels in and out of private land and BLM. 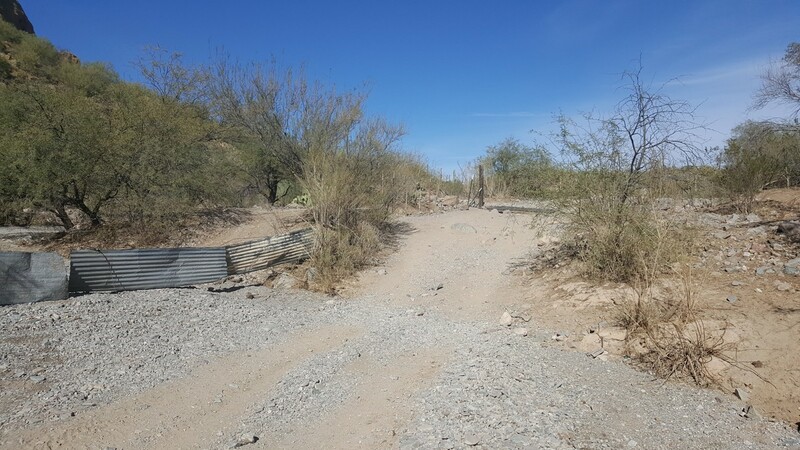 I encourage people to drive slowly and carefully through this area to keep the dust down and to avoid the irrigation ditch alongside Price Road. I am looking at the ASLD Parcel Viewer online (http://gis.azland.gov/webapps/parcel/?loc=-111.2184,33.1067,13&layers=3,1,0). 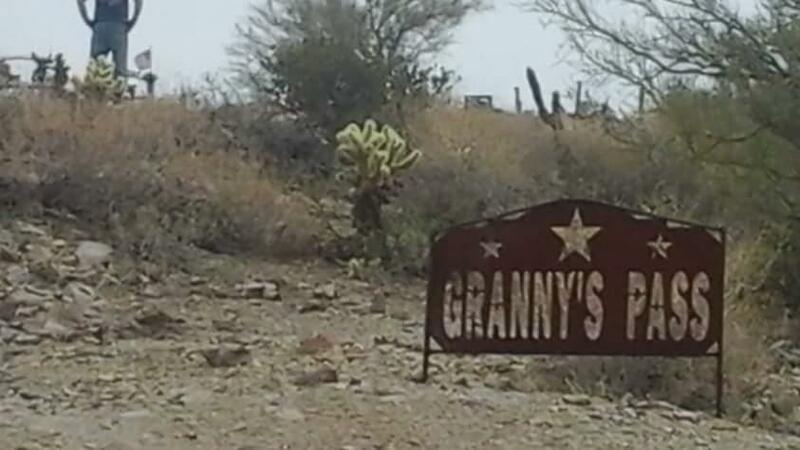 The remaining, approx 1/3, near Box Canyon Road is what the Parcel Viewer calls, (other). A small portion of the road near highway 79 is BLM. 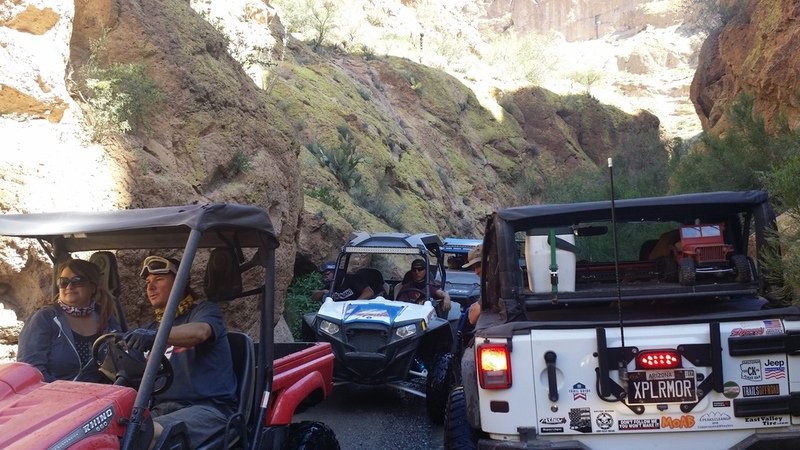 We had a small group that ran Mineral Mountain down through Box Canyon, making for a great day run when you add some stops along the way. 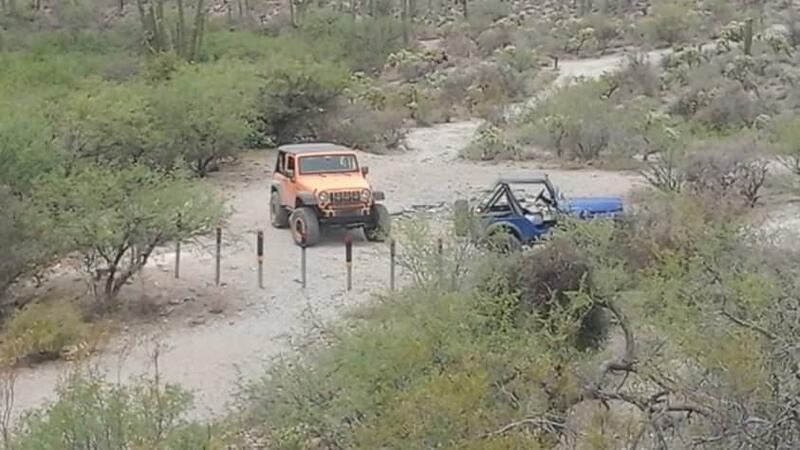 it was National 4x4 day so there was quite a few people out there on a Thursday. There was actual water still flowing through most the canyon. Encouraging since the last rains were weeks ago. 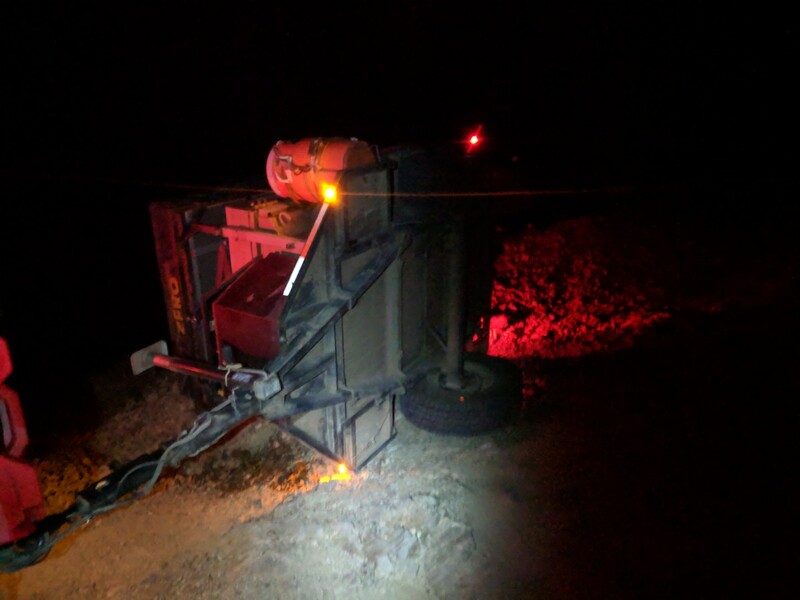 Please be cautious of oncoming traffic and please pick up any extra trash you can. 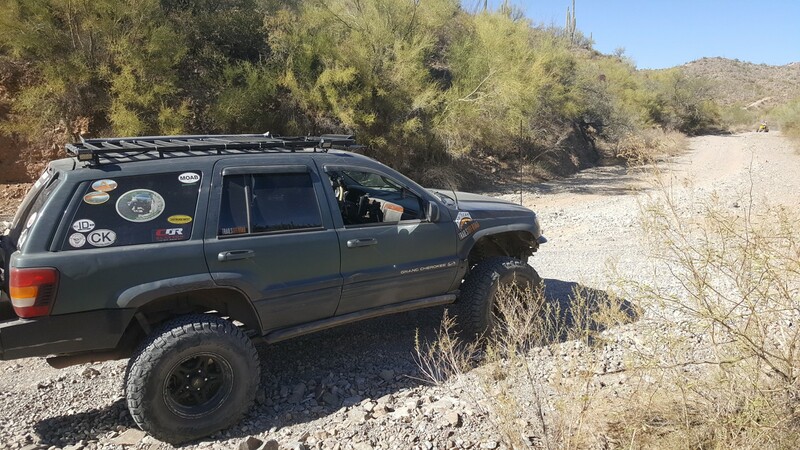 This is just a quick review for those of you with large trucks that are worried about them fitting down this trail… I was also worried about it fitting down this trail since it is so big (12” lift with 42” tires), but we made it; though, if you have a large vehicle, you will most likely get scratches down both sides of your truck. 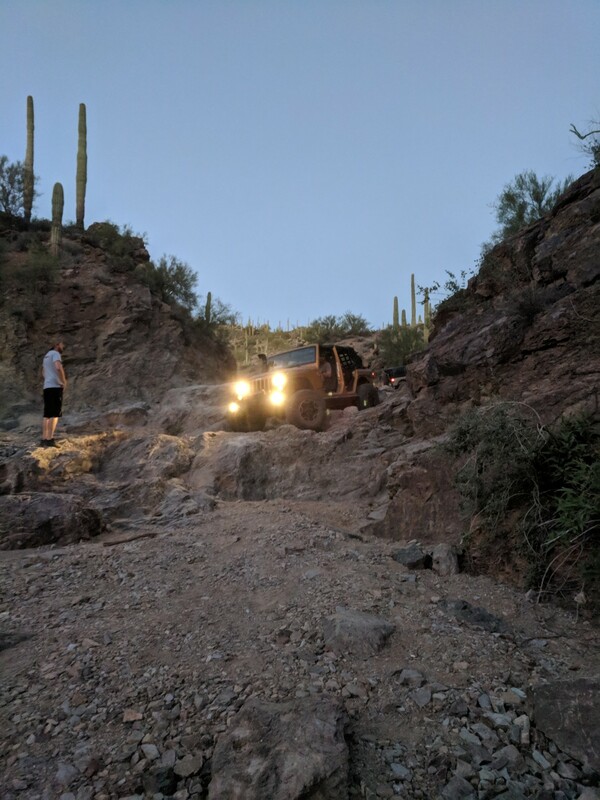 The trail is pretty easy except for the one picture I’m in my give some stock vehicles trouble. 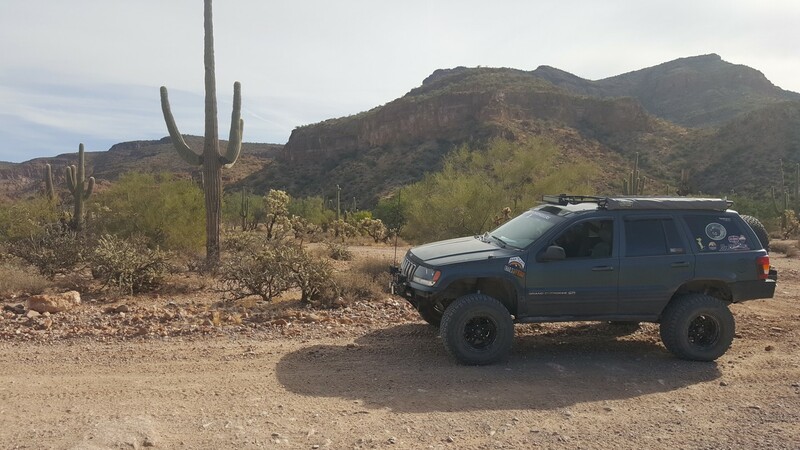 My family was visiting AZ for the first time, so seven of us and my rottie went out to explore the desert. 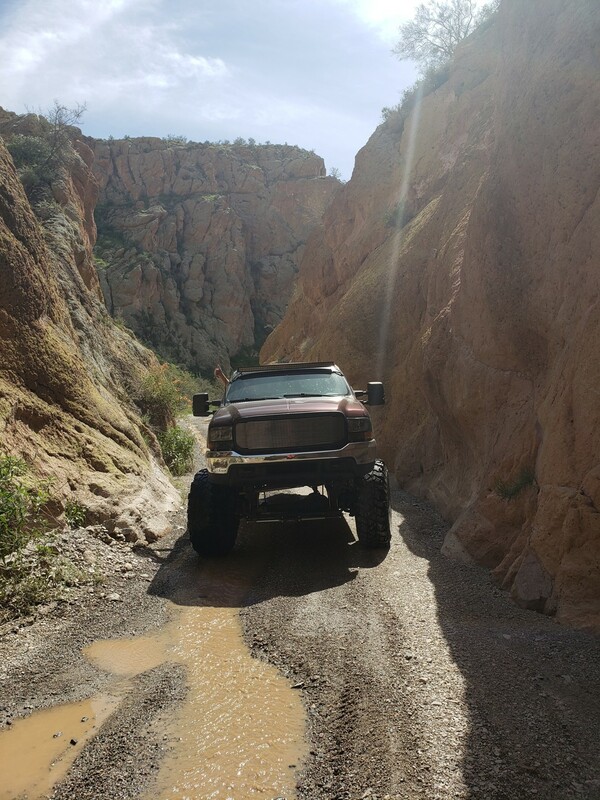 This was a beautiful trail. 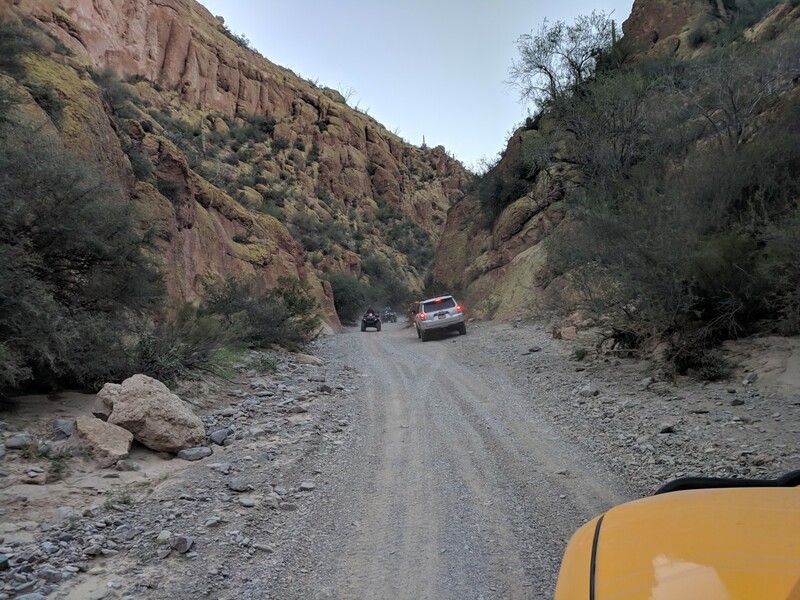 None of us had ever been in a canyon like this, especially in a vehicle. Thank you to everyone that put the time in to making this site. It is an awesome resource! 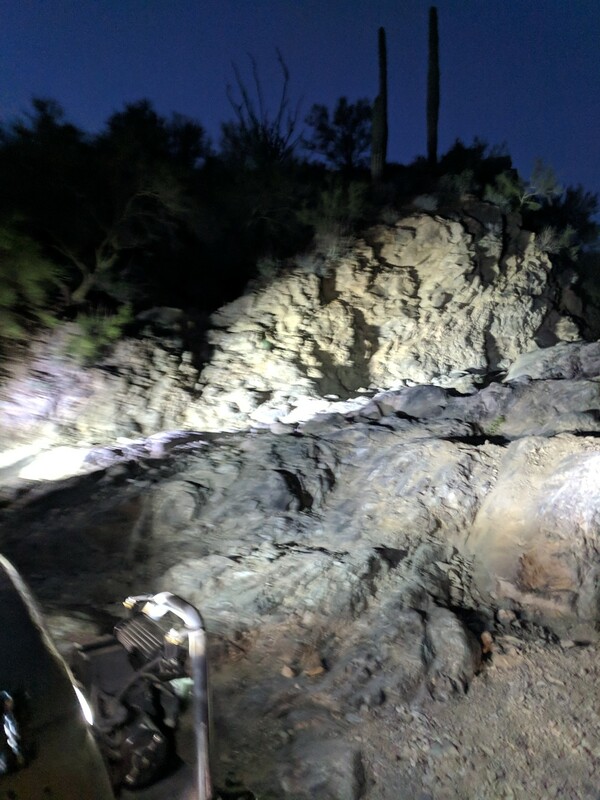 I did a Night Run for Halloween, (AZFJ.org Halloween Night run. The box canyon seemed to be very nicely groomed compared to the last daytime run I was in there. The large rock at the beginning seemed different though. It may have been blasted off. 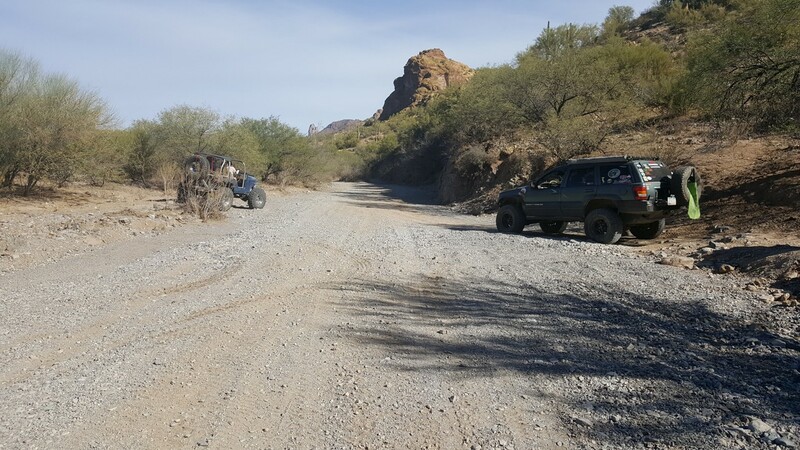 I pulled my 2,200# offroad trailer up the waterfall at the end of the canyon, up out of the wash and over Granny's pass. That's where the problem happened. The road down (Mineral mountain?) 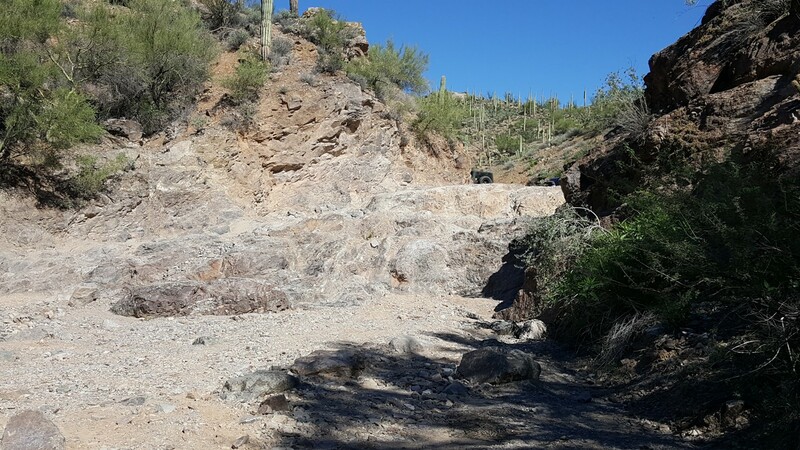 from Granny's pass had a significant number of gnarly washouts on the shelf road. One of them caught my right tire of the trailer and flopped it over. We had to use some rotational physics to get it righted but we managed to get it back onto it's wheels. (The story is in the link above). 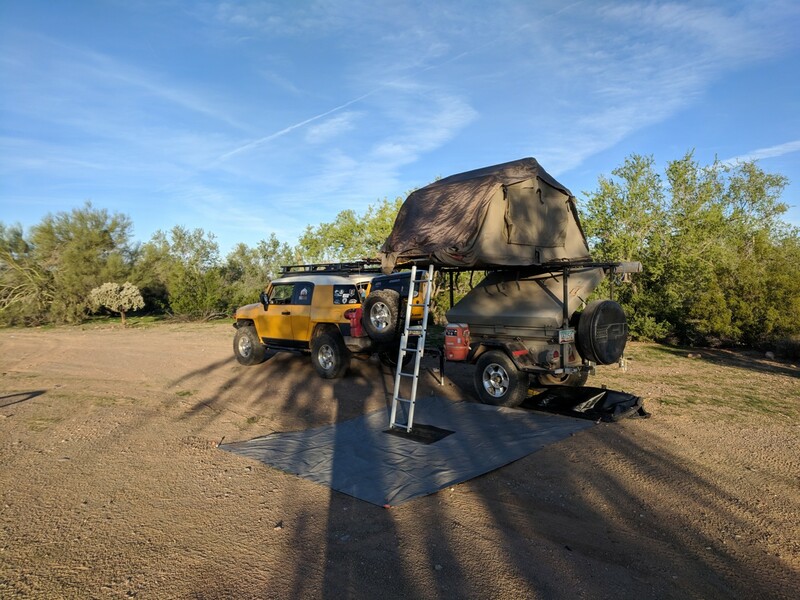 A little worse for the wear, we made it down to the camp spot and successfully spent the night). 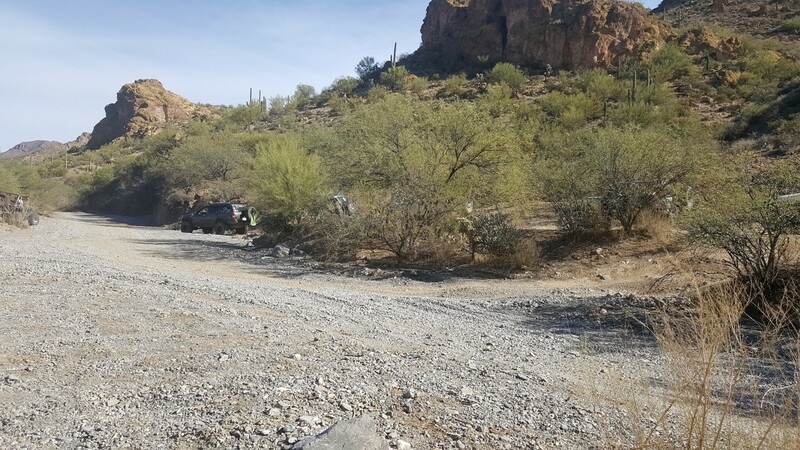 The photo of fateman's white Jeep on the rock is from March '17 for comparison. 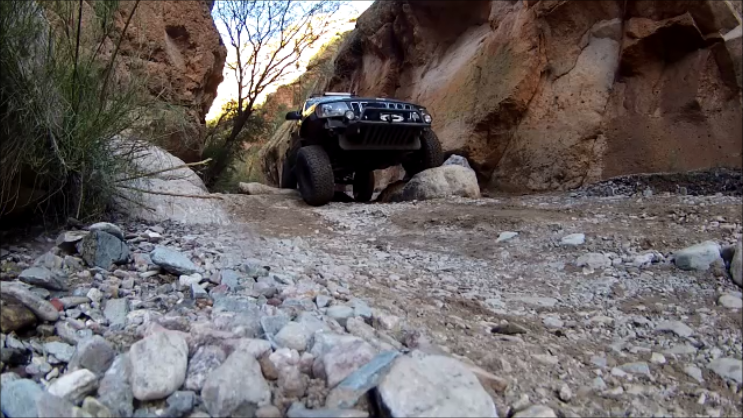 We finished our day on the trail today with Box Canyon with several stops along the way. Busy as always, there were plenty of other people who had the same idea today. 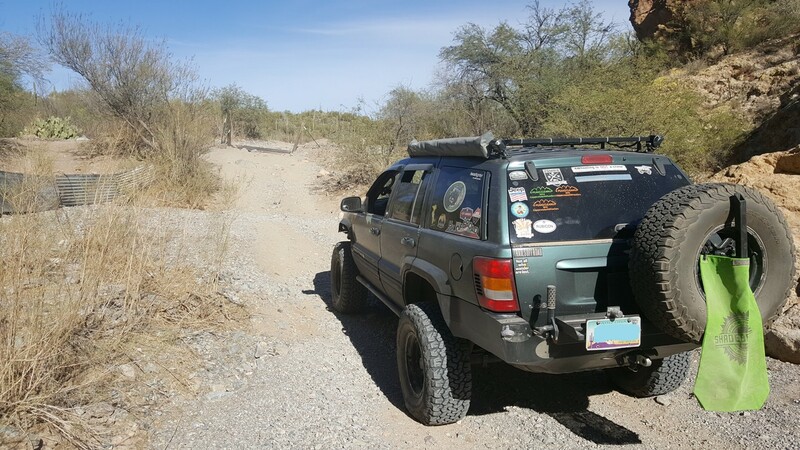 The trail was great. No new changes to report. 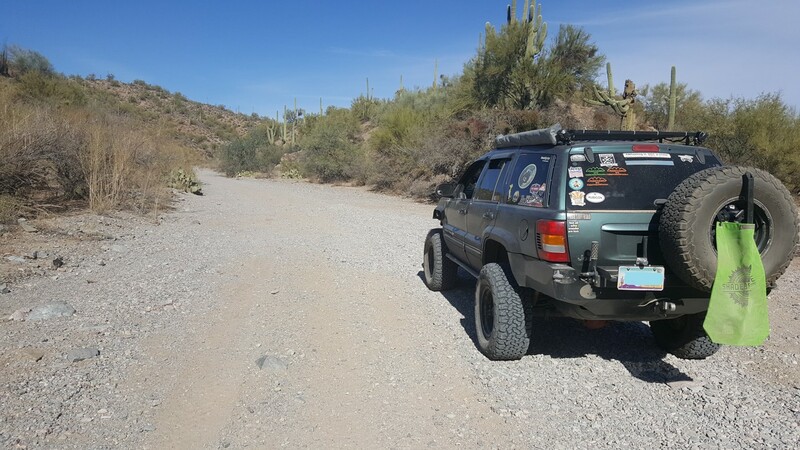 It was a good day out on the trail... We out with a meet up in Florence and then headed out to the Box Canyon trail head. 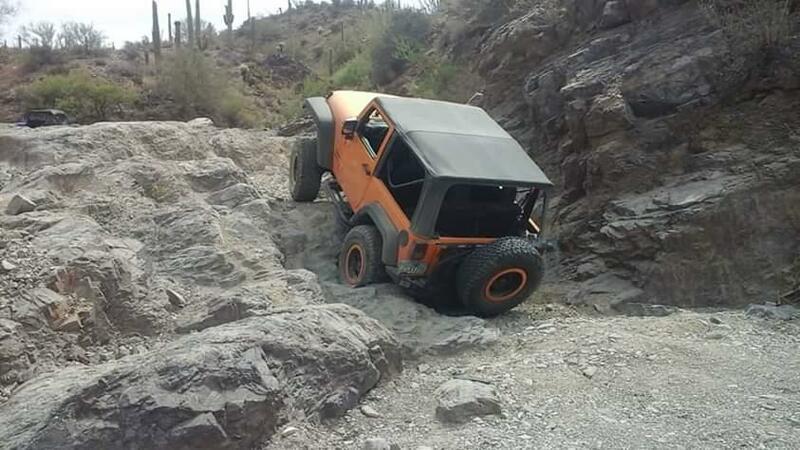 This was my first time wheeling south of the Carefree Highway. 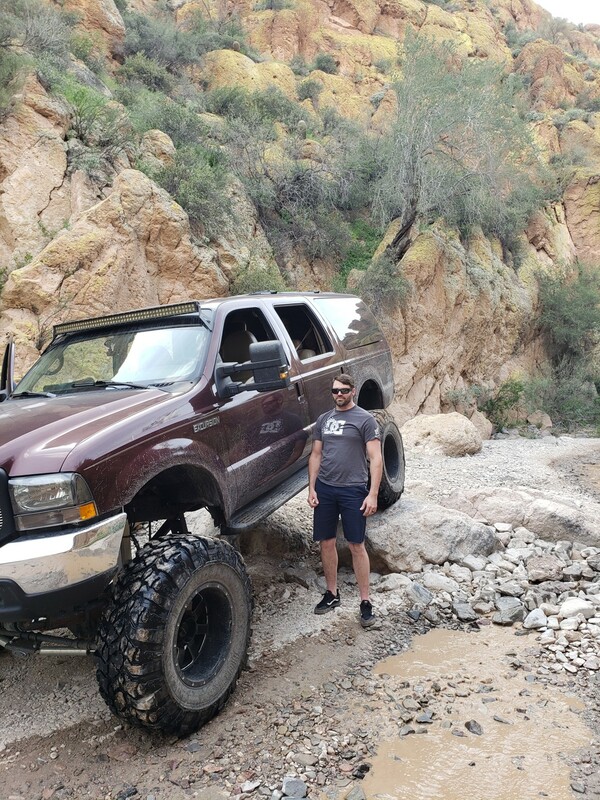 We ran Box Canyon, climbed the waterfall and headed out to other connecting trails. 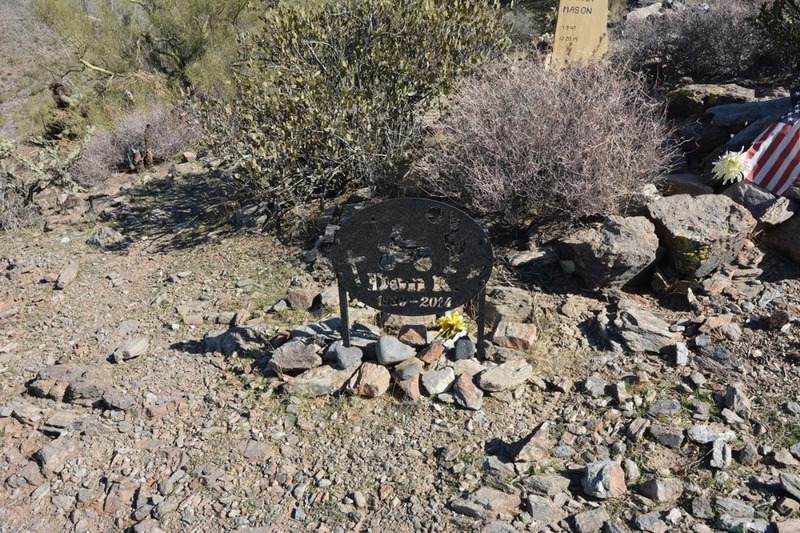 Visited Granny's Pass which is where some memorials for off roader's that are no longer with us are located. 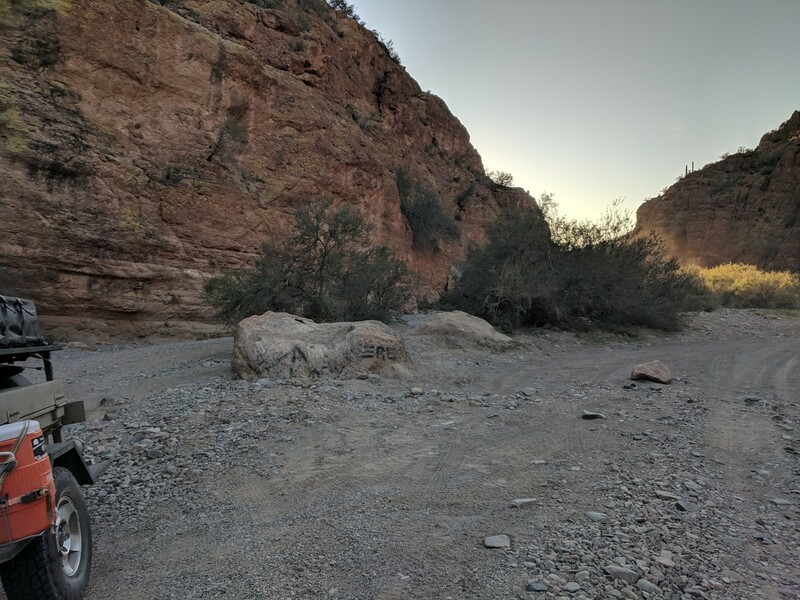 Went through the Middle Gila Canyon Area and found an area to hike down and see some petroglyphs. I will revisit that at another time. 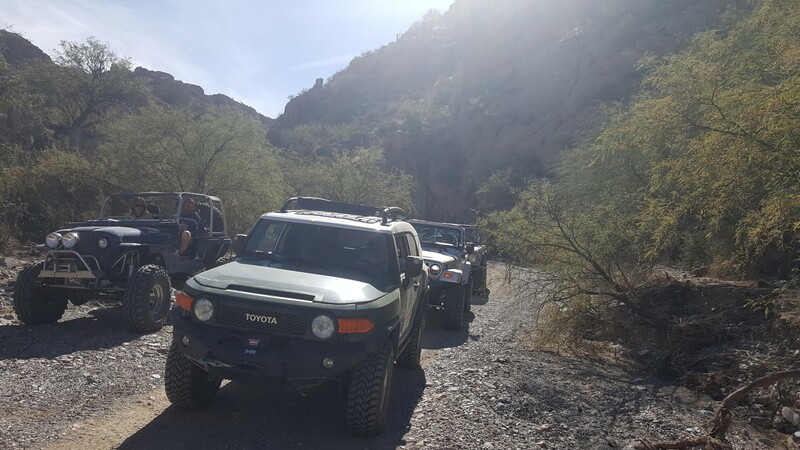 We did a run through the canyon with AZFJ on Sunday. 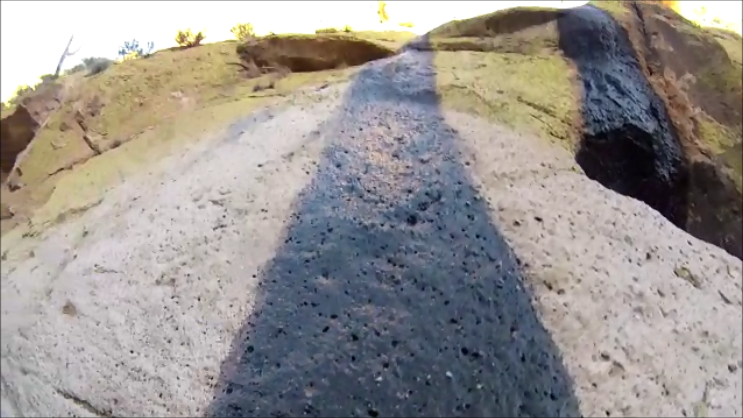 The boulders get higher out of the sand every time I do this run. 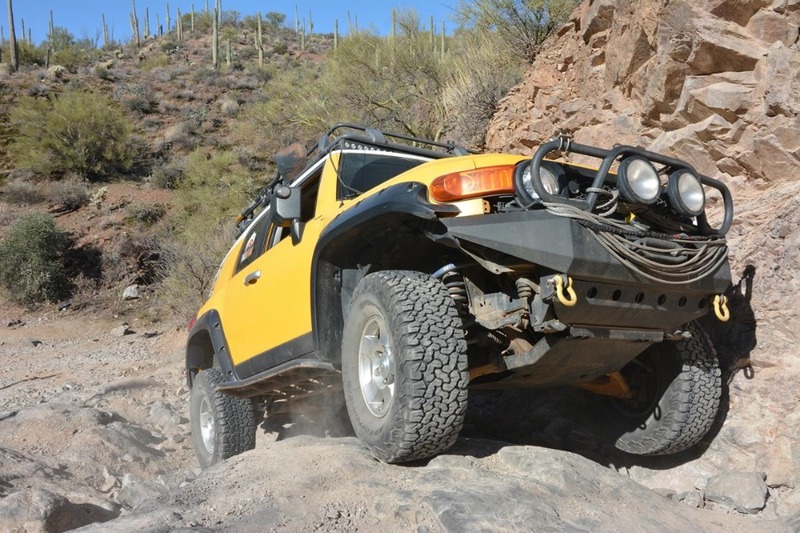 Almost didn't make it up the waterfall (Our FJ40 friend had street tires and had to be strapped) but after repositioning, and better tire placement, my rig, (the yellow FJ) made it unaided. 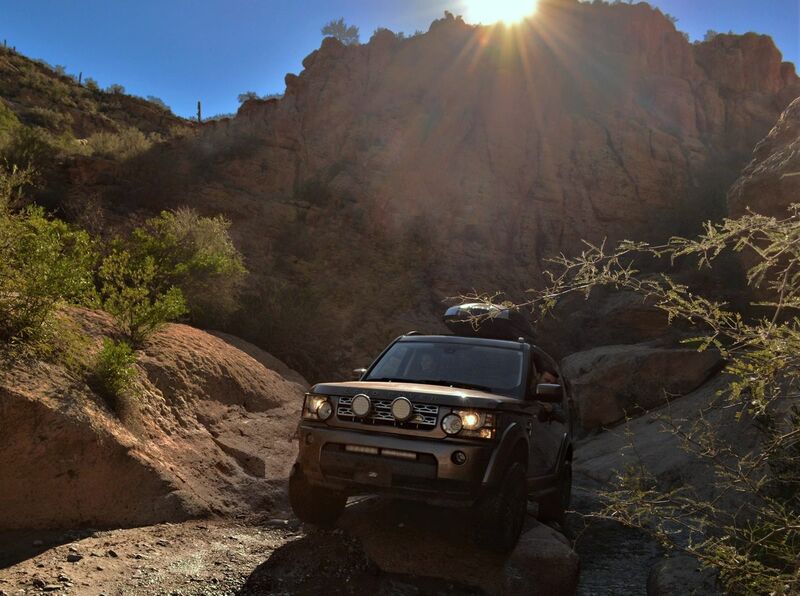 A 4x4 experience to be sure, but all in all still a wonderful, showpiece trail for Arizona. I expected to see some water in the bottom, but alas, dry as dehydrated food down there. 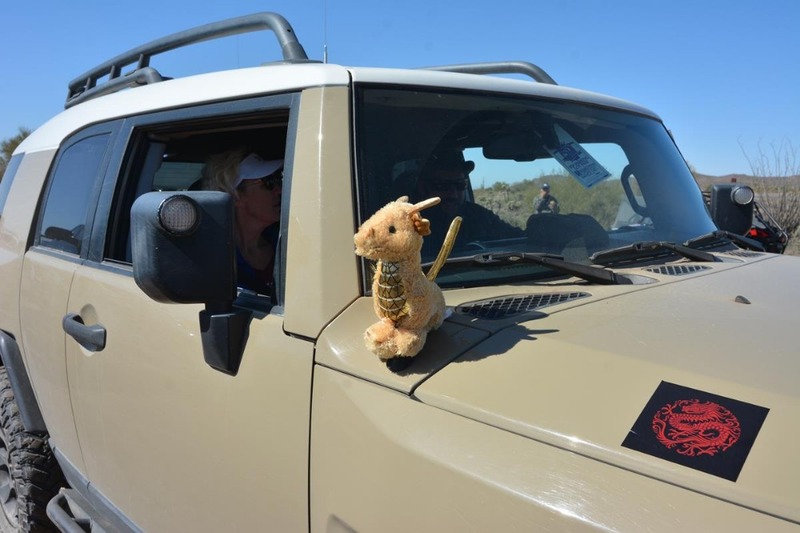 This trip was combined with an outing to the Renaissance Festival, hence the dragon on the A-pillar. Note the poor cow with all her babies in the wash. The poor old girl put her head in some very prickly cholla. 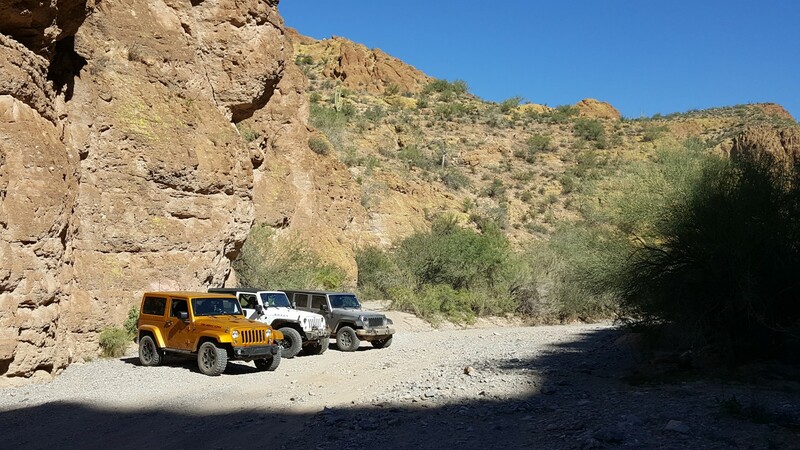 At the end of a wonderful Meetup group from Walnut Canyon to Florence our group exited through Box Canyon. We were eager to air up and head home but the sunset creeping into the canyon was beautiful. As usual, the trail was busy with local traffic. 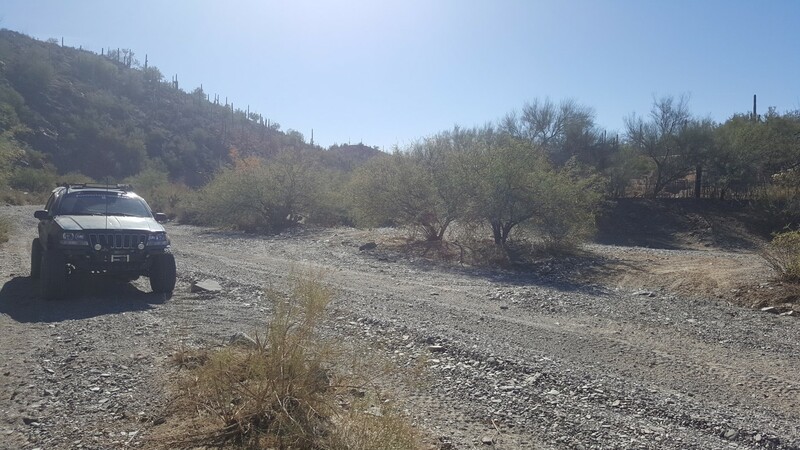 It was dry and dusty but there are no significant changes to the trail since my last report of the trail. The Trailsoffroad.com Florence to Superior off road trip turned out to be a great time. Fourteen vehicles attended and all of them got tested at some point. 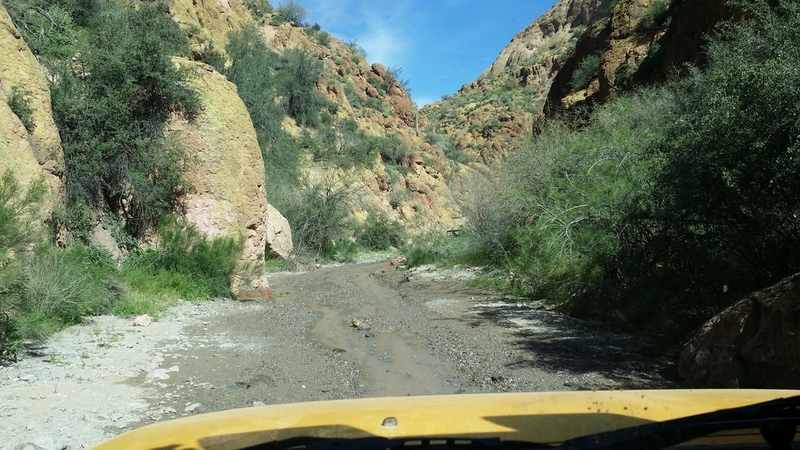 Box Canyon was extra special this time because recent rains meant it was flowing in some sections. 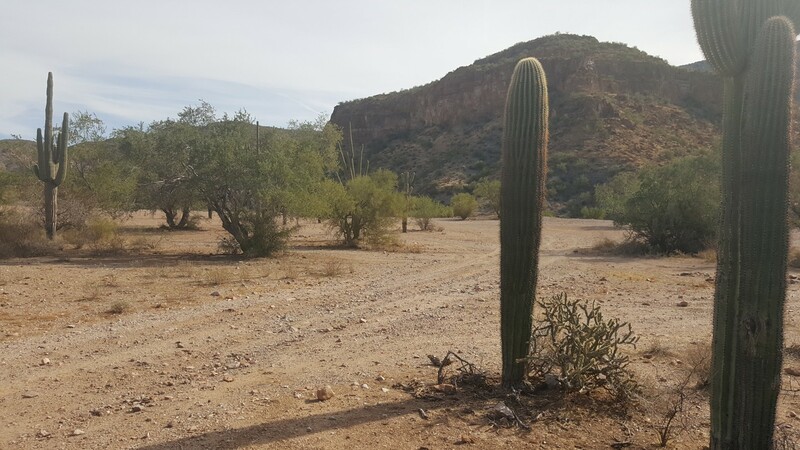 The desert really comes to life after big rains like this one. The trail and people who attended were great as always. 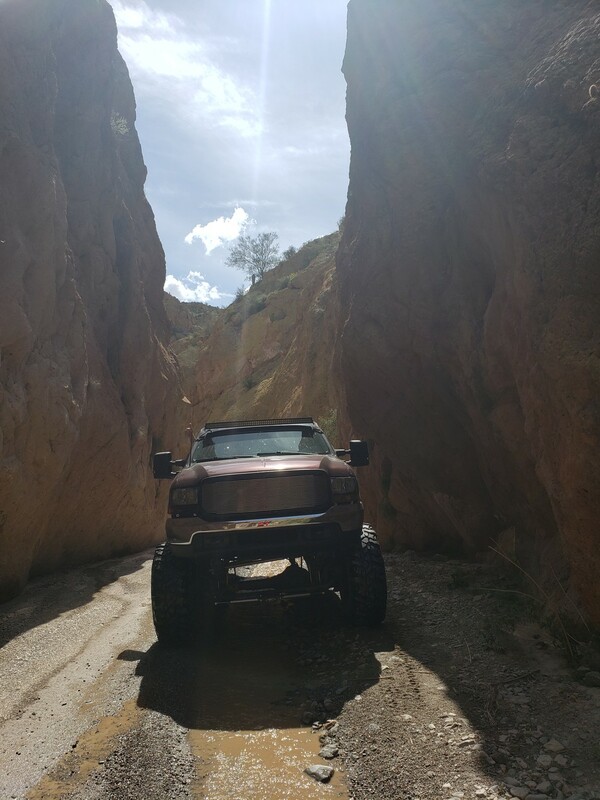 Six of us were out and about tackling some trails today, one of the members of our group working on a guide for Trails Offroad actually, and in true fashion for the area, decided to use the Box Canyon trail as a exit at the end of our day. 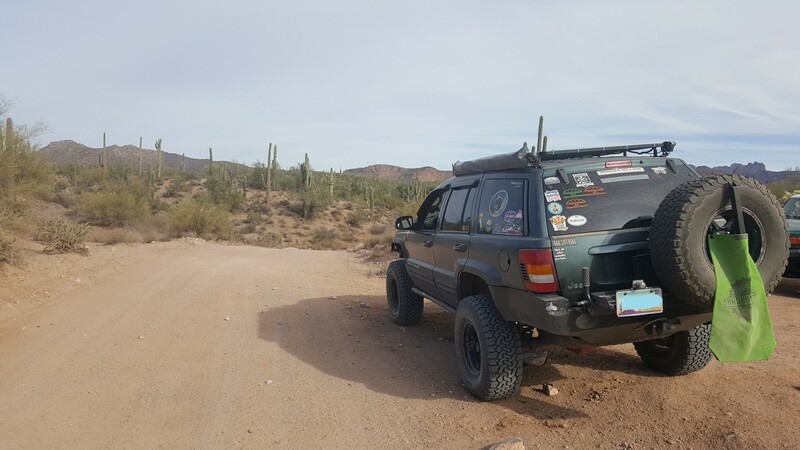 It was a beautiful day to be out on the trails. Recent rains on December 24th and 25th made for wet tires and a wet trail but didn't dampen our spirits at all and made for a dust-less commute through the area. 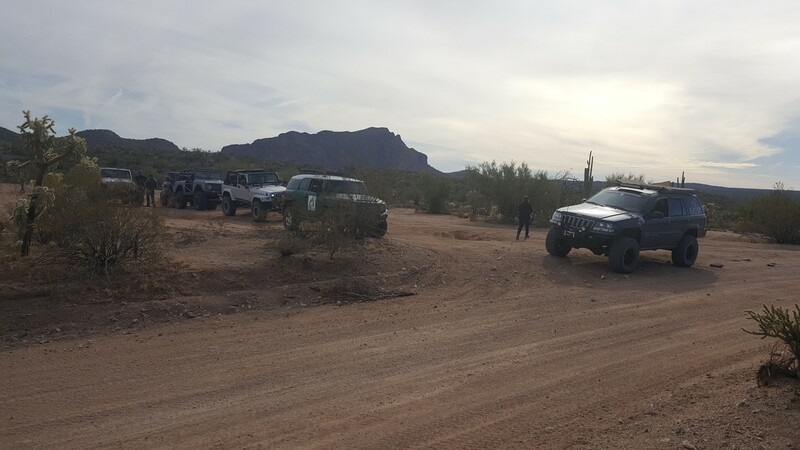 Being a very popular trail and in close proximity of Florence, Az it was no surprise to see other OHV enthusiasts out hitting the trails as well. 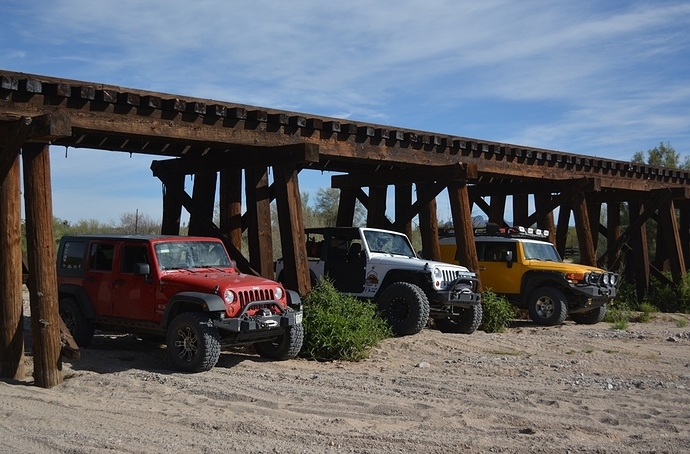 There have been no major changes to the trail since this guide was written in July, 2016.